Kitchens are quite often the centre of the house these days. They are the place where not only do we cook our food, they are the places we congregate in at a party or gathering. They the places we eat breakfast or dinner. They are places where the kids do their homework while a parent prepares for dinner, and they are a place where we sit and have coffee with our friends and family. The kitchen is THE most important room in the house. This is why, working with the right designer and the right company is so important. You want your new kitchen to look amazing. To function effortlessly, and for everywhere to be stored in the right place. So do we. A luxury kitchen is achievable to everyone today with options of interest free payment plans, but what can you expect when you buy a luxury kitchen? As you would expect, the board used is far more superior than that of a flat pack, with 16mm or 18mm thick, high moisture resistant board used. Hardware such as hinges and drawer runners are of the highest quality by Blum and different options available for glass drawer sides or glass drawer bottoms. Having a sensor light automatically come on when you open your cabinet door is something you could take for granted, with glass shelves in your floor cabinets to throw light throughout your cabinet. Our Italian kitchen manufacturer, Doimo Cucine, also offers unique quality of doors otherwise not available in Australia. A brand new door construction using a 6mm board glued onto an aluminium frame to offer a very strong but lightweight kitchen cabinet door. 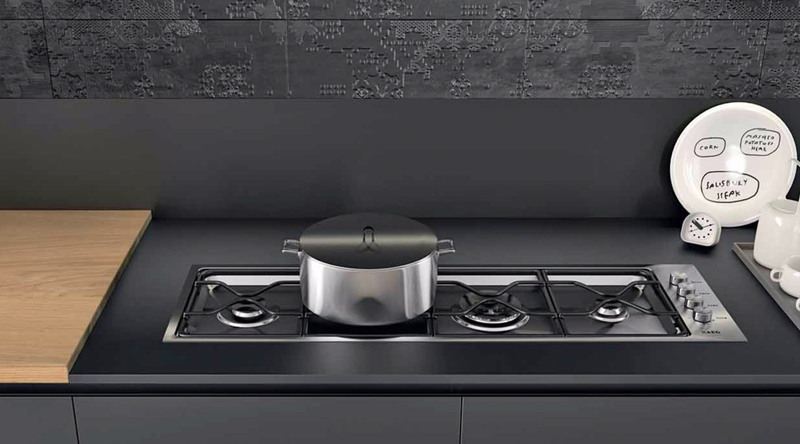 Fenix is also a brand new surface which is a super matt surface repairable to micro scratches, anti-finger print, easy to clean, with anti-bacterial properties using nano technology. The technology used to manufacture these kitchens is world class. Door handles can be incorporated into the door, stainless steel doors are available, and have you ever thought about having a concrete cabinet door to give you the ultimate Industrial looking kitchen?